We examine the access that culturally diverse migrant groups in Australia have to different sources of social support and how this access, or lack thereof, is associated with psychological flourishing and distress. A national online survey was conducted with 1334 migrants in Australia, examining 11 different sources of social support, including family, friends, relationship partner, acquaintances, work colleagues, health professionals, government agencies, community organisations, religious groups, social groups and online groups. We also examined migrants from different cultural groups. All sources of support were significantly associated with mental health, but somewhat differently for the dimensions of distress and flourishing. Flourishing was linked to higher support from all 11 sources, though not for all cultural groups. High psychological distress was linked to lower support only from family, friends, a partner, acquaintances, work colleagues and social groups, and only for some cultural groups. In particular, for distress, there was no link between migrants from Southern Asia and family support, as well as Confucian Asia groups and friend support. 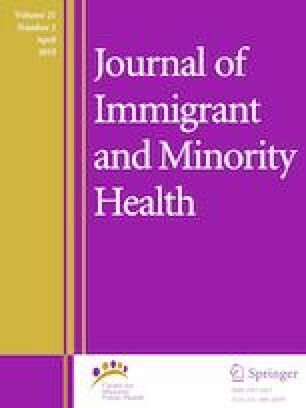 Understanding where migrants from different cultural origins draw their support from could help policymakers and support workers improve health and well-being in migrant populations, especially by focusing on sources of support that are linked to lower distress and greater flourishing, as indicated in this study. Australian Bureau of Statistics (2015) National Migrant Statistics Unit (NMSU). https://www.abs.gov.au/AUSSTATS/abs@.nsf/Lookup/3415.0Main+Features12012?O penDocument. Accessed 31 Aug 2015.